At least sixteen people including eight attackers have been killed while eight others sustained injuries when heavily armed assailants stormed Intercontinental Hotel Kabul, Tuesday night, according to the Wakht News Agency (Kabul). The clash between the attackers and the security officials continued for five hours, and left a major part of the hotel damaged. 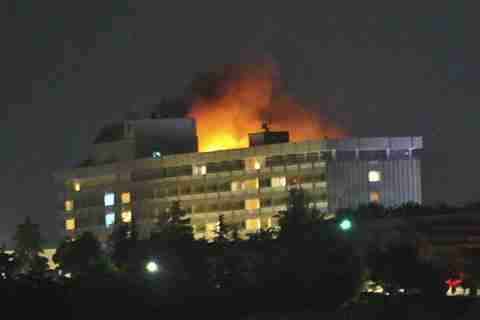 The Taliban claimed responsibility for the highly coordinated attack on the landmark Intercontinental Hotel in an apparent attempt to show they are still able to carry out such assaults - despite months of heavy attacks by NATO and Afghan forces, according to the article. Afghanistan's Interior Ministry spokesman said that the attackers were from the Haqqani network, and came into Afghanistan from Pakistan, according to CNN. Ironically, at the time of the attack, the hotel contained senior afghan officials discussing plans for the security handover from the American-led coalition to the Afghans, and plans go ahead for an American withdrawal. Many people are questioning whether a security handover is possible. 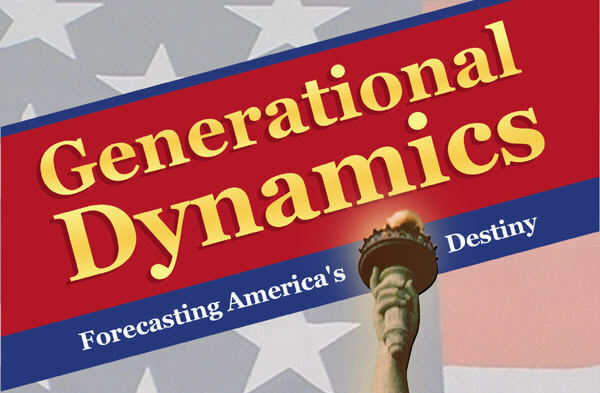 Iraq is in the middle of a generational Awakening era, while Afghanistan is at the beginning. This means that a crisis civil war is impossible in either country, although pundits, analysts and politicians constantly predict a civil war if their advice isn't followed. Iraq's last generational crisis war was an extremely bloody and genocidal EXTERNAL war, the Iran/Iraq of 1980-88. That war unified the Sunnis and Shia against the Iraqis. Afghanistan's last generational crisis war was an extremely bloody and genocidal CIVIL war, 1992-96. There are very bitter hatreds separating Afghanistan's ethnic groups, including the Sunni Pashtuns in the south and the Shia Hizari in the north, who were violent enemies less than 20 years ago. By contrast, Afghanistan is infiltrated by the Taliban -- indigenous Sunni Pashtuns linked to al-Qaeda, but not identical. Furthermore, the same Pashtuns exist in northwest Pakistan, which is in a generational crisis period. The Taliban are mostly targeting non-Pashtun ethnic groups, the former Pashtun enemies, so there is no desire whatsoever for the Pashtun Afghans to eject the Taliban in the way that the Iraqis wanted to eject al-Qaeda in Iraq. The rise of the Haqqani network fits this description completely. This is Pashtun terrorist group, based in northwest Pakistan, targeting non-Pashtun targets in Afghanistan. There is absolutely no way that the Haqqani network is going to be ejected, or that the Afghan army will be able to control it. If, as most people believe, the attack on the Kabul International Hotel was intended by the Haqqani network as a signal that the American withdrawal will lead to more widespread violence, then it looks like they've succeeded.